The study assessed the Action Against Malnutrition (AAM) programme in seven tribal blocks of Bihar, Chhattisgarh, Jharkhand and Odisha. Many public health experts hold a view that community-based treatment of malnutrition, wherein the patient is treated at home and not in a hospital or malnutrition centre, is more effective than mere medical intervention. A recent study, published in the International Journal of Child Health and Nutrition, has shown scientific evidence that supports this school of thought. The study highlighted significant reduction in severe acute malnutrition and wasting among 587 children in tribal areas of India. 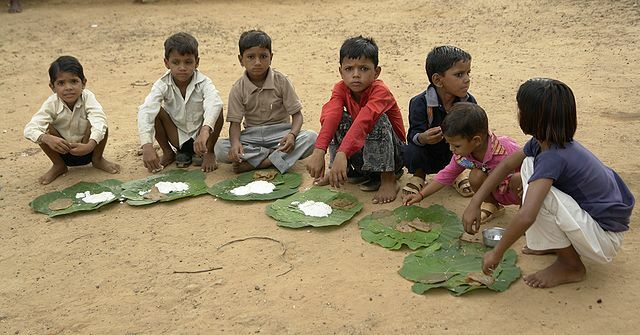 The study assessed Action Against Malnutrition (AAM) programme that is suppported by Jamsetji Tata Trust and implemented by non-profits Public Health Resource Society, Child In Need Institute, Chaupal, Ekjut, and IDEA in seven tribal blocks of Bihar, Chhattisgarh, Jharkhand and Odisha. In the study, conducted between May and November 2013, the appropriate weight for a given height for all 587 children was analysed. It was found that within these months, wasting or low weight for height, decreased substantially and the number of children in non-wasted category increased from 72 per cent to 80 per cent. Even more striking was reduction in the number of children with severe acute malnutrition. Prevalence of severe acute malnutrition (SAM) among children, defined as a weight-for-height measurement of 70 per cent or less below the median, came down from 8 per cent to 4 per cent by November. Children who had not reached "normal" category also showed improvement. While 16 per cent children from the "severely wasted" category showed no improvement, 49 per cent moved into a "moderate wasting" category and 36 per cent to normalcy over a four to six month intervention period. Thus, 85 per cent children showed a positive shift. Among the moderately wasted, 26 per cent children showed no improvement. The condition of seven per cent children declined to "severely wasted" category and that of 67 per cent kids moved to normalcy. Overall, 84 per cent children (494 of 587) showed either an improvement in grade or maintained normalcy over this period. The AAM programme has three components - running day care centres/crèches, mobilising the community by holding structured Participatory Learning and Action (PLA) meetings, and systems-strengthening (SS) and policy advocacy to strengthen and support health and government’s Integrated Child Development Scheme. Their target population is children in the age group of zero to three years.